Some of my earliest childhood memories are based around horses. I remember balancing on the backs of ponies by the age of two, long before I learned to ride a bicycle. My mum grew up surrounded by horses, so riding is a big part of my heritage, but only the English style. I had never attempted Western riding before arriving in Canada, so I was really excited when I found out I would have the chance to go pony trekking at the ranch. My preconceptions of Western riding were based around old movies and consisted of cowboys galloping across huge mountain ranges or chasing cattle across the prairies. The riding style looked so fun and free and the horses beautifully wild. Although I never realized before how different English and Western riding could be. The whole process of saddling your horse and your riding position are completely opposite. For example in western riding you tie a cinch around the horses belly with a rope called a latigo, to keep the saddle in place. English saddling is a lot easier for me and the girth, the cinch equivalent, is attached by two buckles to the saddle, no fiddly knots! The most difficult being the bowline which is used for side-lining the horses and tying the cropper to the saddle. 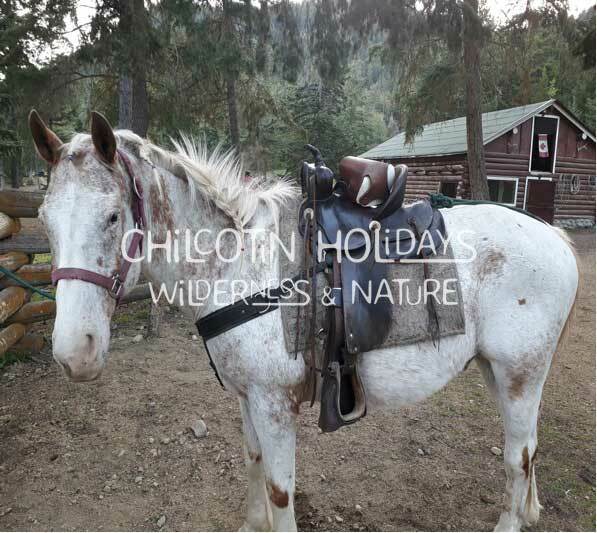 However the western saddle is so much comfier and you could trek up steep hills for hours barely getting saddle sore. The main difference for me is the terrain you ride across. The views I was greeted with on my first Canadian ride were incredible. With huge white tipped mountains in the distance and the sound of rushing water at the base of the canyon as we transcended. After only 30 minutes in the saddle we were crossing over rocky streams and walking briskly over large logs. As a happy hacker, this was my perfect riding environment. Back in England, the trails we ride are not so exciting. The land is quite flat and it is mostly dirt track. However it is still exhilarating to canter down these tracks, feeling the rushing wind against your back. The horses are of course very different. The wild horses are much hardier in Canada and can go on seven day pack trips, where they are ridden for up to 7 hours a day. My horse in the UK could only be ridden along trails for a maximum of 4 hours a day, then he would need the next day off. Although he is half thoroughbred, which is not the strongest breed and an Irish cob would be able to walk twice as far without feeling fatigued. The wild horses at the ranch are very strong and a few of them become pack horses for packs trips, carrying heavy boxes full of food and equipment. 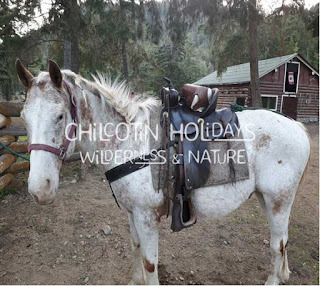 These horses need to cover much rugged ground and have to balance walking across slippery rocks and be careful not to stumble walking down very steep slopes. For western riding there is a whole new set of variables to consider. Such as what to do if you encounter a bear on the trail, it is important to act calm and turn back the way you came. Also you ride across steep mountain paths and in these cases you need to take the high side out, the leg nearest the mountain. When walking over rocks you have to take both feet out the stirrups, whereas you always keep your feet firmly planted in the stirrups back in the UK. To summarize I have loved learning western riding, it is really interesting to learn about a new riding style that is so relaxed and based around truly seeing the beautiful environment surrounding you.